The "Upcoming Events" section, located at Content > Sections > "Upcoming Events"
To add this section to your page, navigate to your page, located at Content > Pages, edit the page, and under the "Sections" section, add "Upcoming Events". The "From the Blog" section, located at Content > Sections > "From the Blog"
By default this section displays a list of 3 Blog Posts with the title, publish date, and author. This section is configured to display on the homepage and in a subpage sidebar (above). To add this section to your page, navigate to your page, located at Content > Pages, edit the page, and under the "Sections" section, add "From the Blog". 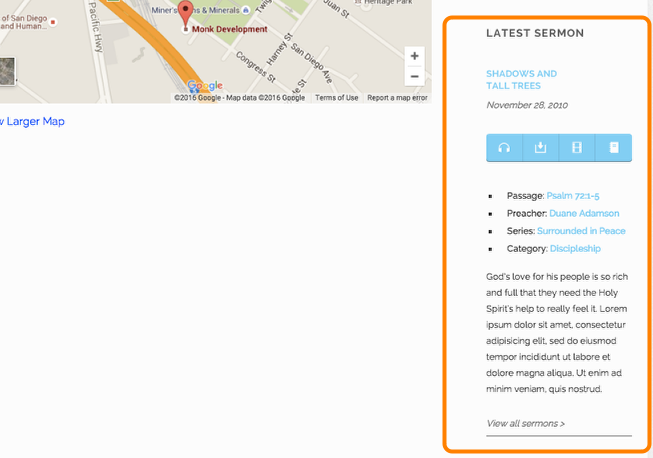 The "Latest Sermon" section, located at Content > Sections > "Latest Sermon"
By default this section displays the most recent sermon, and its associated meta data. 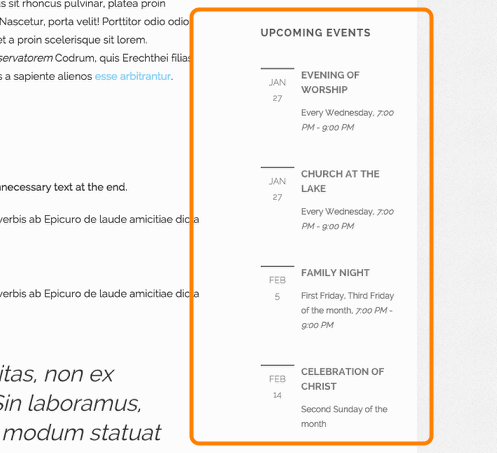 This section is configured to display on the homepage and in a subpage sidebar (above). 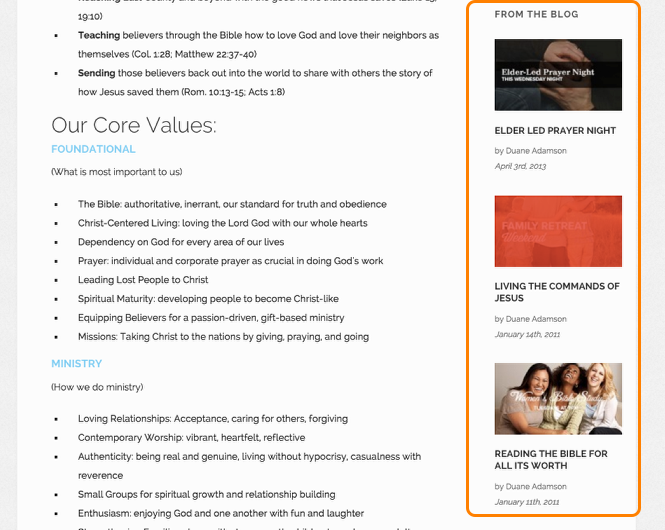 To add this section to your page, navigate to your page, located at Content > Pages, edit the page, and under the "Sections" section, add "Latest Sermon".